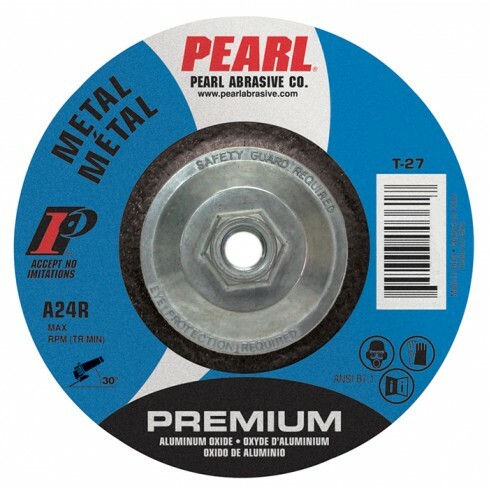 Pearl Abrasives Premium Grinding Wheels are especially well suited for grinding, weld dressing and deburring. These Premium Depressed Center Grinding wheels are engineered for aggressive stock removal and extra long life. All Pearl Abrasive grinding wheels meet or exceed US/Canada safety standards and regulations. Try these economical depressed center grinding wheels today!